You can’t beat the quality and affordability of Shutters , blinds and other window treatments at our St. Clair Shores Window treatment Company. With Quality products and great pricing, we offer one of the best values in Michigan. By bringing our mobile store to you , it helps us cut costs and pass them on to you. Seeing your Shutters blinds or shades in your home before you make your final choice is a great way to be sure the product and color look right in your home. Our Grosse Pointe Window treatment Company has been serving Grosse Pointe as well as Macomb, Oakland and Chesterfield Township for more than 20 years, providing Customers with Free estimates, free professional design consulting, free installations, and great prices. Whether it’s your waiting room or your Grosse Pointe home, a custom made product from Blinds in Motion will look fabulous in our space. We offer quality products from company’s like Hunter Douglas, Graber , Norman Shutters as well as many great products made right here in Michigan. Initially when we bring our mobile store to you and help you during your design consultation, we’ll also measure your windows. Blinds in Motion handles this for you to ensure proper fit when your treatments arrive. We then help you choose the right treatment for your space. Next we’ll come and install your window treatments professional to ensure there are no problems. We will also come out free of charge for one year if you incur any issues. We will also handle any returns for you for one year free of charge so you won’t have to worry about the cost and hassle of shipping them back like you would if you shopped online. 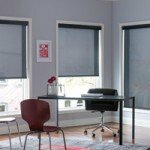 Residential & Commercial Customers in the Grosse Pointe area love our quality window blinds, shades and shutter options. We also carry top treatments for added design as well as energy saving products like EZ storm panels and EZ porch panels, a reusable storm panel which will eliminate all window drafts during those cold window Michigan winters. Local Business owners and homeowners know they can find the right window treatments to enhance their space at Blinds in Motion, and they’ll get treated right from our professionals. No matter what window treatment your home or business needs, there’s no better way to find them than using our mobile showroom consultants who bring samples to you. At Blinds in Motion, we offer many high quality popular Shutters from Hunter Douglas, Graber, Norman and even Shutters made right here in Michigan. Our Quality shutters will look beautiful in your Grosse Pointe area home or business. Today’s shutters have many options, including real wood shutters, composite shutters and vinyl shutters , and many options like front tilt or hidden tilt, divider rails, Louvre sizes as well as many different frame styles. Blinds in Motion will have a shutter specialist explain and help you choose the perfect shutters for your Grosse Pointe home or business. If you have fixed glass windows, sliding doors, odd shaped windows or odd sized windows, we can custom order your shades or other window coverings. Shades made to order need to have a professional measurement done so there’s no mistakes made. Getting your custom shades from online vendors can be troublesome, especially when they arrive and are broken or don’t properly fit the windows. Returns to online companies can be expensive and annoying. Our professional measurement during your initial consultation helps to ensures there’s no problems and no mistakes, and if on the rare chance something does go wrong, we will get it fixed. We are the top seller in U.S.A. made quality custom shades, plantation shutters, and window blinds in the Macomb and Oakland County, and Grosse Pointe areas of Michigan. In fact, we’ve done over 6000 installations and carry an “A” rating with the BBB. As a family owned business, we’re the window blind company in the Grosse Pointe area who cares about our customers, making it easy to get fabulous window coverings that are affordable, quality made, and beautiful! We are very proud to say that about 80% of our business derives from word of mouth and repeat customers. We work with quality manufacturers like Hunter Douglas, Graber, and custom local window covering fabricators. Most of the Window treatments we sell are made right here in the USA. Because we can bring samples to our customers, we have low overhead costs -meaning we can give you fair and reasonable prices. Blinds in Motion is Grosse Pointe’s favorite window blind company! 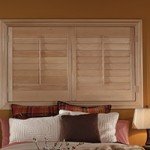 Have Questions About Your Grosse Pointe Shutters? If you are looking for a Grosse Pointe shutter company, please call 586-771-8365 or complete our online request form.